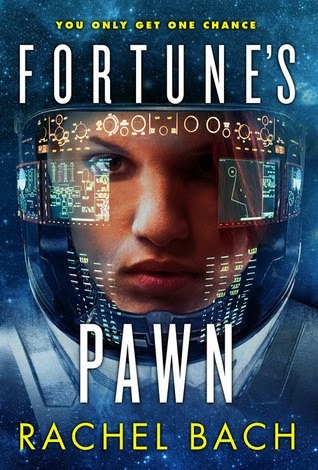 Fortune's Pawn is the first book in the Paradox trilogy by Rachel Bach. If Sigouney Weaver in Alien met Starbuck in Battlestar Galactica, you'd get Deviana Morris -- a hot new mercenary earning her stripes to join an elite fighting force. Until one alien bite throws her whole future into jeopardy. Have you read Fortune's Pawn yet? I'd love to hear your thoughts. Feel free to leave me a link in the comments if you've written a review. Ooh, space fantasy - I like it! It makes sense, though. Rachel Bach is also Rachel Aaron, who writes fantasy :) I've got this one in my TBR and you may have just forced me to bump it up the stack as far as I can! Oh, Becky, do move it up the list! It's a really fun read. I have never read anything else by Rachel Aaron/Bach. I wonder how this one compares. Space Fantasy is an awesome description. That ending was extremely brutal, I agree. So glad you loved this!! Bonnie, I'm so glad you warned me about the ending. I was bracing myself so I know it helped! Badass book chicks are ALWAYS fun to read about! Most girls in YA now annoy me or induce a lot of eye rolls lol. I have to take a closer look at this one! That suit is freaking amazing. AMAZING. I'm so glad you loved the book! Devi is such a badass, isn't she? I've been singing this book's praises to everyone who will listen.